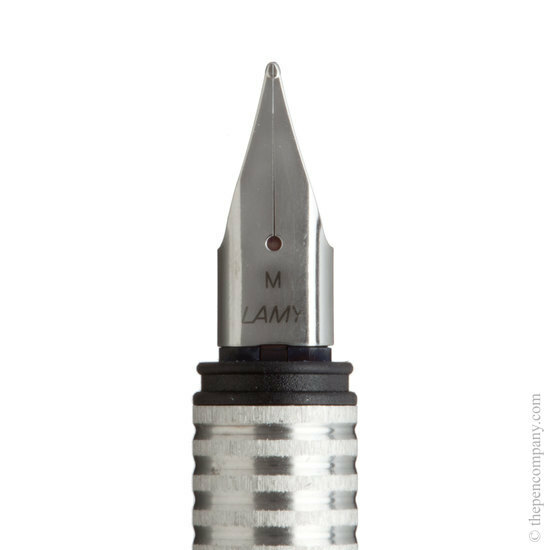 This brushed stainless steel version is the top of the popular Lamy Logo range, being more substantial and slightly heavier than others in the range. 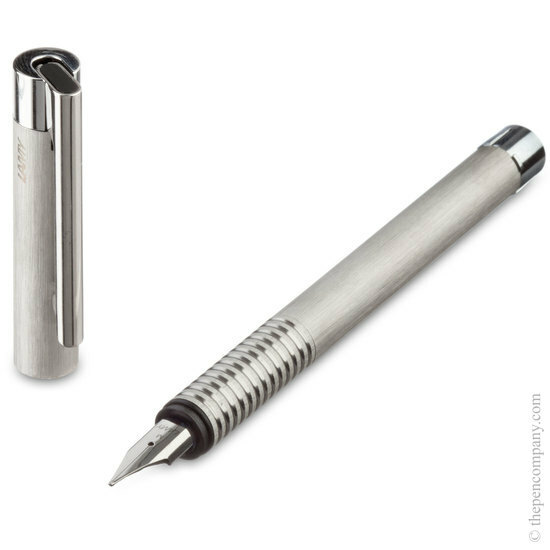 Of all-metal construction the barrels are carefully made from brushed stainless steel with chrome trim. 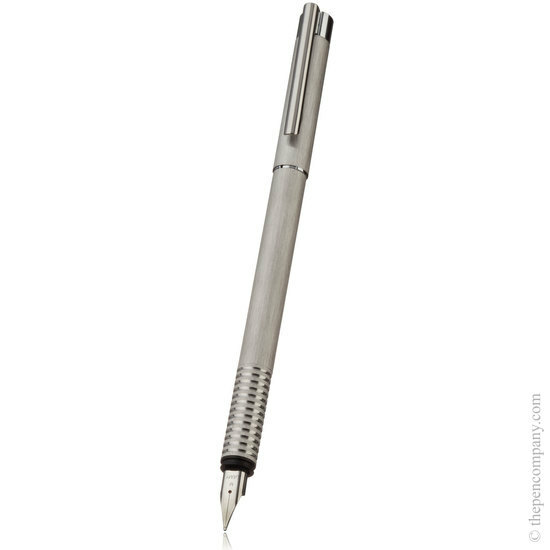 The brushed Logo range are available as a fountain pen, a ball point pen, 0.5mm mechanical pencil and as a multifunction twin pen with ball pen and pencil. 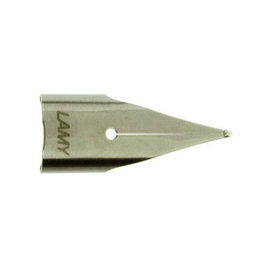 The Logo collection are ideal everyday pens, rugged, workman like and economical. 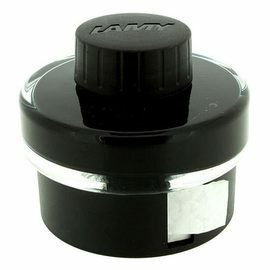 Lamy are one of the few manufacturers that offer nibs designed for left-handed writers and that can be interchanged easily. Other manufacturers are available but not usually at this price. 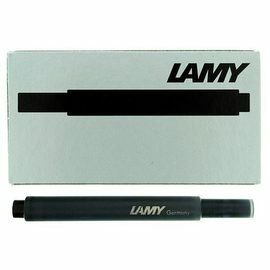 I've been using Lamy pens for years but I'm right-handed. This pen was a Christmas gift for our son who (like his mother) is left-handed. The pen and the special left-handed nib arrived promptly and I swapped the nibs in a few seconds - it's easy but there's a knack to it, so check Youtube. 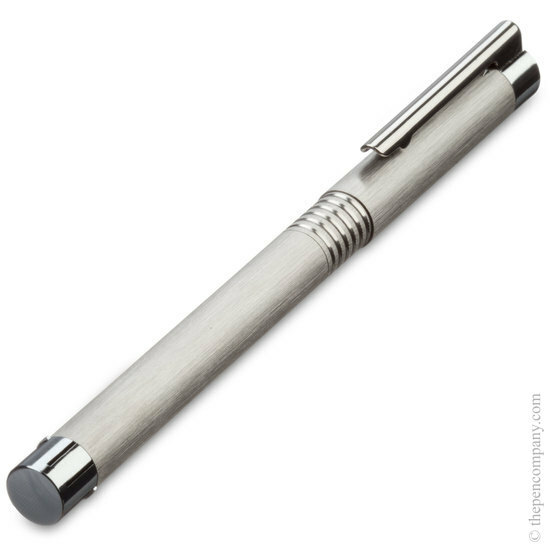 Son was delighted with his present and I was delighted with the super service from the Pen Company.